Bust a Move celebrates the lives of breast cancer survivors in our community. It’s more than just an event, it is a yearlong project that begins with the casting process in the spring. In the latest video in our series on our YouTube channel, Ann Johnson talks about the casting process. Bust a Move Recap- over $38,000 raised! Over 400 people attended Bust a Move on Friday, October 5, at the Fort Wayne Museum of Art, and helped raise over $38,000 for our programs and services for breast cancer survivors in our community. What an inspirational evening. Thanks to everyone who was a part of making it a success. To help celebrate the 5th anniversary of the event, we unveiled a 5th Anniversary calendar, highlighting some of the most popular pieces from past years. Those are available for sale for $20 at the Fort Wayne Museum of Art’s gift shop and at our office. You may email arecker@cancer-services.org to order one as well. They are beautiful. Again, we could not do what we do without the generous support of our community. We hope you will join us next year! This video is part of a 6 part series on our YouTube channel promoting this year’s Bust a Move event that brings breast cancer survivors, artists, and cancer community members together to celebrate their triumph and remember the struggles they’ve experienced. Jerry Seabolt has participated in Bust A Move since the first year. He supports the event because he likes to give back to his community, but more importantly, because his life has been touched by cancer and he understands the value in the resources and support provided by Cancer Services. We are partnering with The Fort Wayne Derby Girls to host the 5th Annual Bust a Move auction and fundraiser to benefit women with breast cancer in our community on Friday, October 5, 2012, at the Fort Wayne Museum of Art from 6:00 – 9:00 PM. For Bust a Move, local artists, breast cancer survivors, and derby girls volunteer their talents and their bodies to create unique, inspiring cast representations of the female bust and the emotions associated with breast cancer. Local artists modified the casts, using various artistic mediums, to create outstanding works of art. The art pieces will be auctioned at the event. Join us for the 5th Annual Bust a Move. The event includes food, cocktails, entertainment, and a live auction of truly unique and inspiring works of art – all fashioned from the busts of breast cancer survivors and Derby Girls. Tickets are available online at eventbrite.com. 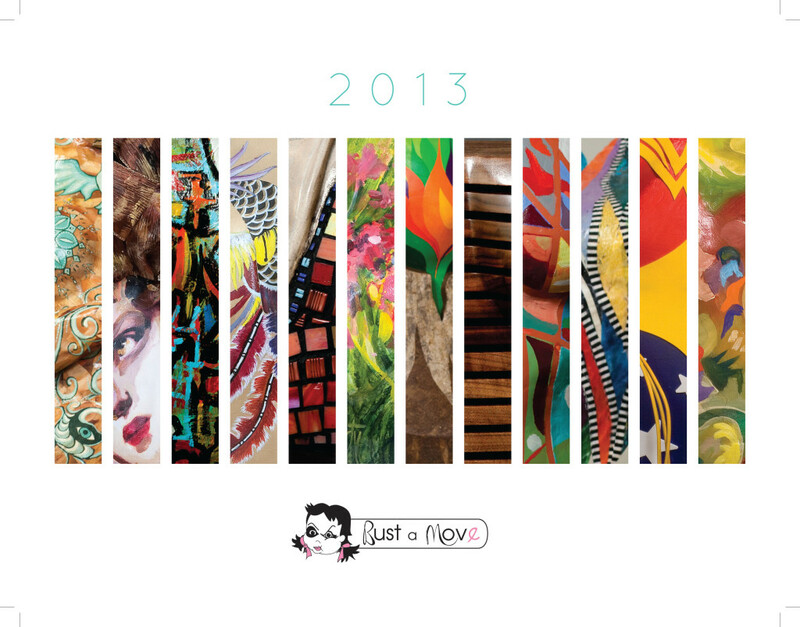 View artwork from last year’s event at the gallery from Bust a Move 2011.